Multi Group technology (on/off by group) Professional Thermoblock Groups. Professional group (Diameter 60mm). Coffee group is manufactured lead free brass or Stainless Steel Aisi 316 (Pid Model). Independent steam boiler. Stainless steel Aisi 316. Extremely sturdy,. Large Capacity. Independent and regulable electronic temperature control for each group. External Pid control (0.5˚c) for each group and steam boiler (Pid Model). High performance volumetric pump. Constant pressure even after a prolonged and simultaneous use of groups. Powerful steamer (10mm anti-lime scale tube. Stainless Steel cool touch. High-precision filters in Aisi 304 stainless steel. Active cup warmer (Pid Model). 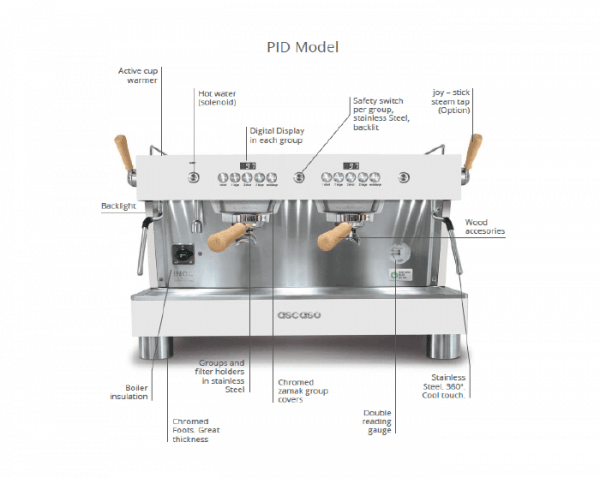 Digital Display in each group (Pid Model) Designed for Baristas : Joystick steam controls -LED in work area-5 volume selections-Pid controls. High Group available and different colours and options. 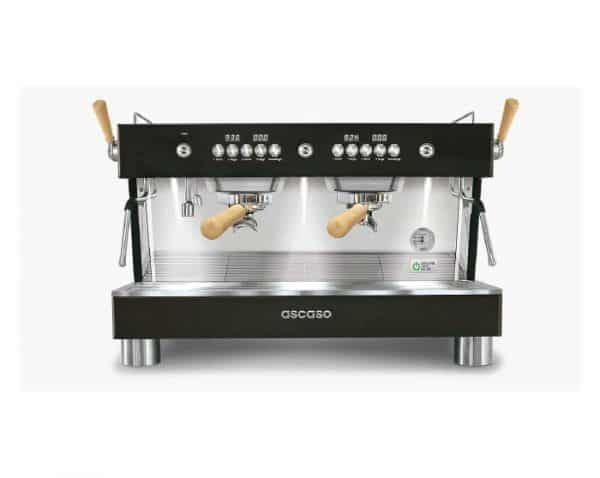 An energy-efficient, long-lasting and hygienic coffee machine equipped with all the features to produce outstanding espresso coffee. 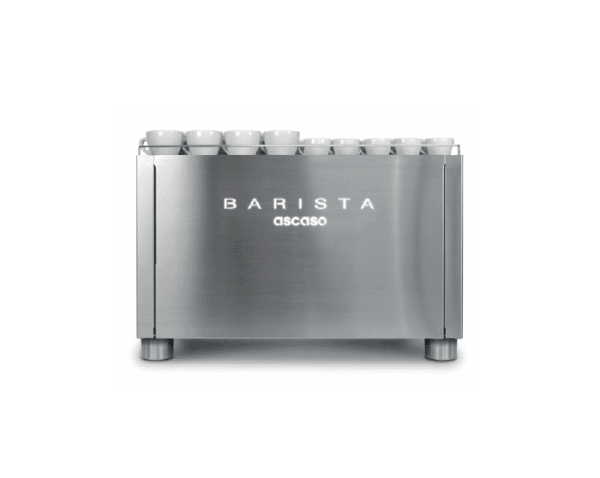 We invite you to come and discover the reality of the Barista T. This beautiful machine is the result of years of development and the enthusiasm of a team of engineers at Ascaso with the ambition to change one hundred years of history.